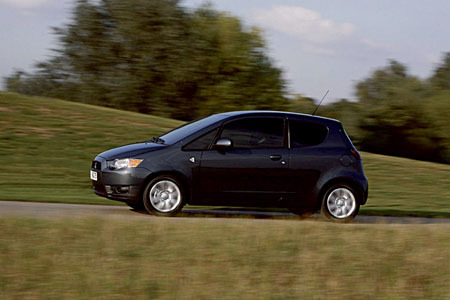 The new Mitsubishi Colt moves closer to its Lancer sibling with a thoroughly refreshed interior and exterior design. The shift to this new look is neatly blended in Colt’s overall design. Trading the MPV-like high stance of its predecessor for one that is lower and wider, the first thing you notice about the new Colt is the striking front end, characterised by the “jet fighter” grille. The same goes for the muscular contours of the front fenders and complementing new headlamps, all of which contribute to a stronger on-road presence as well as an improved level of pedestrian safety. There is a new rear end design for the five-door body, which adds character while visually lowering and widening the car considerably. Changes at the rear of the distinctive three-door body consist essentially of a new bumper and new lamp housings. New wheels complement the exterior design, while on the inside there is a new look. Prices for the new Colt range prices start at €13,450 with annual road tax from €156. And the Colt comes in one well-equipped model that has the following as standard: 15” alloy wheels, audio remote control, leather steering wheel, electric and heated door mirrors, front fog lamps, MP3 connectivity, electric front windows, and emergency stop signal system. The new Colt shows less distinction between the three and five-door variants. And you get better cargo flexibility, more comfort features, and a more dynamic drive. The Colt range is available in the aforementioned 1.1 litre with an entry level price of €13,450 ex-works and 1.3 litre petrol engine version, starting at €14,354 ex-works. The five door entry level model is priced at €13,952 ex-works. 1.1 litre variants are expected to account for 90 per cent of all Colt sales. A 1.3 litre automatic option will be available from late January with the three-door priced at €14,555 and the five-door at €15,057. A three-door Ralliart version with a 1.5l turbo engine and priced at €21,584 are now available.